Spirits producer and distributor Amber Beverage Group is hoping to triple its revenue over the next four years and become a €1 billion (US$1.14bn) business, according to its CEO. Speaking to The Spirits Business at the end of last year, Amber Beverage boss Seymour Ferreira said that since its launch in 2014, the Luxembourg-headquartered business has tripled its revenue and is seeking to mirror this growth in the coming four years. “We have moved very quickly and it’s been exciting, and I think we can do it again,” the CEO said. “That means really expanding our portfolio internationally, making sure that we are taking the opportunities to acquire in the right way, building platforms in our core markets, but also making sure the entrepreneurial spirit of the organisation is not lost. Amber Beverage has evolved from a Baltic-based distribution company set up by SPI Group into an international spirits firm following the implementation of an “aggressive” growth strategy. The group moved into Tequila with the purchase of Fabrica de Tequilas Finos in 2016, launching Rooster Rojo Tequila in 2017. 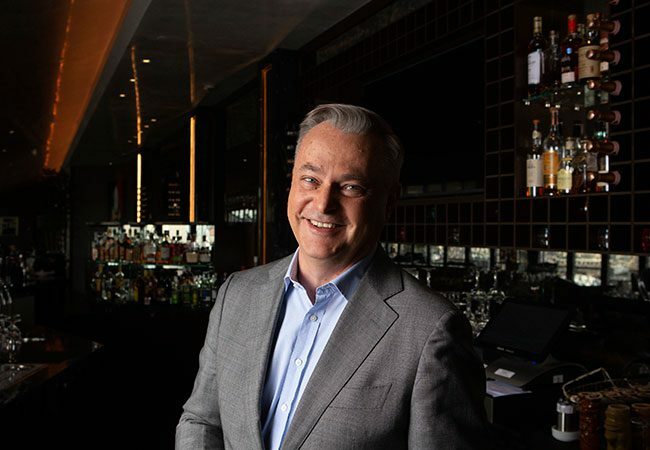 Amber Beverage enhanced its global footprint last year after increasing its ownership of UK distributor Cellar Trends and acquiring a majority stake in Australia’s Think Spirits. Also last year, the firm took a majority stake in one of Russia’s oldest distilleries, Permalko. Amber Beverage Group’s five core brands are: Riga Black Balsam bitter liqueur, Rooster Rojo Tequila, Moskovskaya vodka, low-alcohol sparkling beverage Cosmopolitan Diva, and Cross Keys Gin, which launched last summer. According to Ferreira, most serious spirits players will be eyeing a place in the Bourbon industry, and brown spirits more generally. Amber Beverage will also seek to enhance its low-alcohol offering to capitalise on “healthful” consumer trends. “You will see in the next six months or so different products coming from our vodka and Tequila ranges that start to target these low-abv opportunities, but also offer consumers unique experiences.